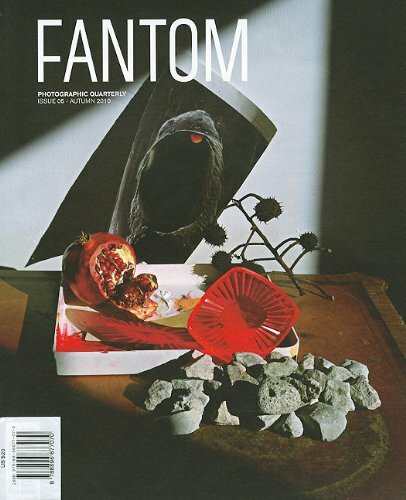 Edited by Cay Sophie Rabinowitz and Selva Barni, Fantom is a photographic quarterly that focuses on photography and visual artists who use photography. Visual content is contextualized with conversations between artists and photographers, and interviews and texts by respected critics and writers. Issue 5 contains a preview of Mark Morrisroe's rediscovered portraits; an essay on British artist Steven Pippin by Walter Guadagnini; and the 1959 Sicilian journey of artist and designer Piero Fornasetti and his wife Giulia. Guido Guidi appears in conversation with Luca Nostri, and gallerist Baron Osuna (of Super Window Project, Kyoto) with Takashi Suzuki. Also included are portfolios of new works by Gareth McConnell, Jorma Puranen, Miriam Bohm, Moni Joshi and Ena Swansea; for the 'Reportage' section, Daniele Dainelli examines rural China.